How do People Benefit from Junk Car Salvaging? The decision to sell your once-trusty junk car to your local salvage yard is a hard one to make. However, it will probably turn out to be the correct choice. What’s more, you will be helping out a few different folk. If you are currently in ownership of a set of wheels that is in an advanced state of disrepair, and can’t be driven, here are some of the people who will benefit from you selling it to your local salvage yard. The first and most important (to you, anyway) person to find this transaction advantageous is you. You won’t get enough money to retire on, and in fact you stand to make a few hundred dollars at the most. It is a junk vehicle you are selling, after all. There is a likelihood that you could get much more, but it is small. However much you get, it will be more than the mere value of its weight in steel. This is due to the fact that it will probably have plenty of parts on it that can be sold second hand. The folk at the salvage yard will therefore be making more on the car than they would if they were to only sell it as scrap metal. When one has a scrap car, where do they keep it? Often times, they can’t keep it in their garage. That is where they will want to store the vehicle that they are using, so that it doesn’t fall victim to the elements when not in use. It is more likely to be either sitting on the driveway, or taking up space on the lawn. This will make your whole property look bad. Anyone living in the house will be embarrassed. Your neighbours will not enjoy the fact that the price of their house may be driven down by the eyesore quality of your junk car. Getting rid of it by selling it to the salvage yard will make them very happy. Salvaging a car involves having it recycled. When steel is recycled, it means that less steel needs to be mined as the demand is reduced. This is great for the environment in a few ways. One of them is the fact that mining produces pollution. It causes erosion, it contaminates the surrounding soil, and the mining process uses chemicals that get into groundwater. Simply recycling steel produces none of these problems. Another way that it is great is the fact that mining also produces greenhouse gasses. Carbon dioxide is one of these, and the worst. Greenhouse gasses trap heat in the atmosphere, and this is making the planet’s average temperature increase over time. It is a threat to future generations. Recycling steel uses a fraction of the energy resources than mining does, meaning that it releases less carbon dioxide. Salvaging a car also makes sure that the chemicals in it aren’t being slowly released into the atmosphere and the ground as the vehicle slowly rusts away. Contact Wreckmonster today if you are planning to salvage your car in Sydney, NSW. When it comes to selling a scrap vehicle, the process is popular for being highly frustrating and distressing. After all you have to do a lot of tedious things in order to acquire a fair deal for your vehicle. You don’t just have to keep it clean on a daily basis, but also make it look presentable for the buyers. And then again, you have to post its advert on online classifieds, meet with the potential buyers, schedule a test-drive and negotiate the deal. The whole process of selling an auto through normal avenues usually takes around one or two weeks. And, the most annoying part is that you will be getting a fair remuneration on your investment. If you really want to sell your junk Nissan Navara for a fair cash that it actually deserves, you can happily sell it to “Wreck Monster” company. We will remove your vehicle instantly and leave with heaps of cash in your pocket. So, with us you can sell your unwanted vehicle within 24 hours and that too without making any hard efforts. If you are not planning to sell your old Nissan Navara and want to use it for a few more years, you can still know how much it is worth. We all know the old proverb: “Knowledge is Power”. Of course, it is very helpful to have a good knowledge about how much you can make out of your vehicle when it comes to selling it. As it grants you the power of leverage when negotiating with the prospective buyers. Call us at: 0478 682 103 or fill out the form on our website. Being the premiere Nissan Cash for Car buyers in Sydney we always take care that our each and every client walks out satisfied and happy after dealing with us. And, we do this in the best way by offering the maximum pay-out up to $15,000 for any model of Nissan Navara in any condition. Based on the condition of your vehicle, we will exactly pay you the price that your automobile better deserves. Is your Nissan Navara broken or wrecked? No problem! If you have a Nissan Navara that is in a terrible condition or maybe completely wrecked in a severe collision, there is no need to be stressed out. The experts here at Wreck Monster accept automobiles with any possible disrepair. 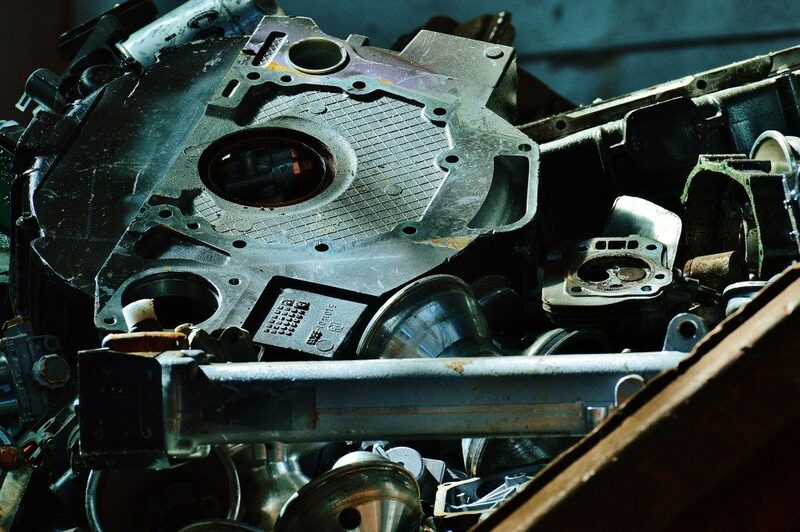 The reason is simply because we understand that even a wrecked or non-running vehicle will have at least a few valuable parts and heaps of usable scrap metal content. These materials can be recycled and sold for a good money for a variety of useful purposes. Being certified Nissan Wreckers we buy and remove all make and models of Nissan Navara regardless of their state. Whether your vehicle is running good or not, we will be happy to take it off you. This way we save our customers from the hassles of spending a considerable amount of money in repairing and fixing their unwanted wheels. In addition, we offer quick removal services across the entire Syndey without charging even a single dollar as towing fees. When selling your Nissan with us you will enjoy a completely convenient and rewarding process. Sell your car to Wreck Monster and enjoy the hassle free vehicle trading.